The crate also called logistics box, widely used in machinery, automobiles, home appliances, light industry, electronic industry. Crate production with the reasonable design, excellent quality, apply to factory in logistics transportation, distribution, storage, circulation processing and other links. Therefore the demand of crate becomes more and more. Crate production has higher and higher requirements for the efficiency and high quality. So the multi-cavity mould is popular with more and more mass crate production suppler. 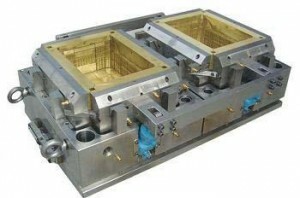 Zhilian Mould is high quality multi- crate mold supplier. For example the multi-cavity crate mould—4 cavity crate mold exported to Spain five years ago. Now this client ordered one set multi-cavity crate mould—4 cavity crate mould again. Based on the large-scale machining center high processing tooling equipments, as well as mature technologies for multi-crate mold including design and manufacturing, Zhilian mould insists to keep the multi- crate mold tooling with high efficiency and accuracy. Welcome the mass crate production supplier to order multi-cavity crate mould.